⇒ With NCW Red, White, & Bruised behind us our esteemed Commissioner Dean “The Beast” Livsley made a proclamation for the upcoming 2014 Big City Rumble, offering up an open invitation to the wrestlers of New England, guaranteeing that the 2014 Rumble will go down as the BIGGEST Rumble in NCW history. With such a wide number of potential competitors in this years Rumble, Livsley has ensured that anyone could leave the Norwood Elks Lodge on August 8th the #1 contender heading into WrestleFest X. 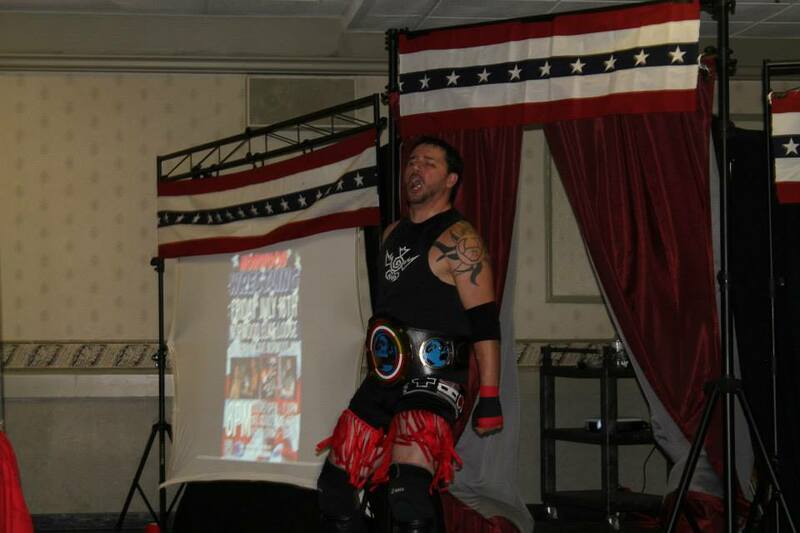 Will RIOT make it to WrestleFest as Champ? ⇒ Rumored entrants into the 2014 Rumble include former NCW competitor “The Hampton Beach Badass” Hunter Ward, New York wrestler Kenny Roberts, former three-time NCW Tag Team Champion “Dynamic” Jon Thornhill of Generation SLAM, and the Mack Attack who were scheduled to debut last month at Red, White, & Bruised. In addition to these men an NCW commentator has made it known he would like to throw his hat into contention this year, while a very special guest from the North Pole has also expressed interest in making an appearance in the Rumble Match. 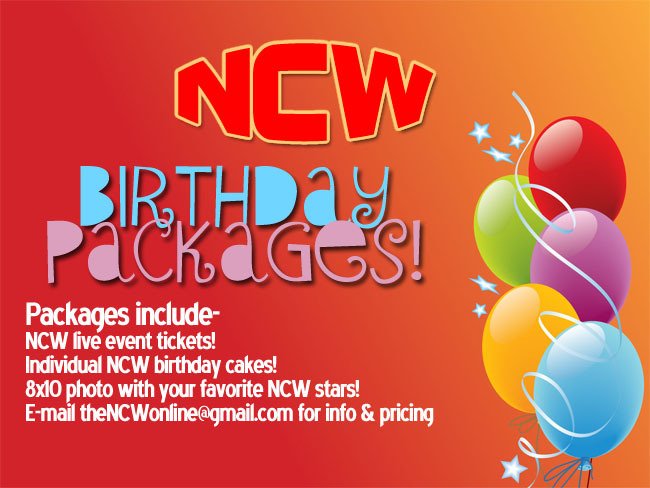 ⇒ With “RIOT” Kellan Thomas‘ impressive victory over “The Masshole” Mike McCarthy, Kellan must now look toward his next challenger August 8th when will defend the NCW Heavyweight Championship against the evil incarnate “Devils Reject” Brandon Webb, a former NCW Tag Team Champion who hasn’t been seen in NCW in over two years. Webb has a history with many NCW superstars, but August 8th will be the first one on one encounter ever between “The Devils Reject” and the fighting NCW Champion. ⇒ Rumor has it that “All Good” Anthony Greene may not be 100% heading into the Big City Rumble with “The Original Showoff” Mike Paiva when Back to the Fuzion defends the NCW Tag Team Championship against the new Underground Anarchy “Bam Bam” Brandon Behm and “The One Man Moshpit” Tim Lennox. With “Black Magic” Sean Feeney recruiting the former Tag Team Champion into his stable, could the Anarchy pull a coup on the weakened B2F? ⇒ It was an extremely close call for the returning “Simply God’s Best” GA West in Norwood, as he was a mere second away from regaining his coveted New England Championship against Rob “The Giant” Araujo, only to have the time limit expire in their Championship match. One could say it was presumptuous of West to say he only needed ten minutes to defeat the two-time New England Champion, but in the end the facts cannot lie that GA was on the verge of victory before the buzzer timed out. While Araujo was more than willing to give West another crack at the gold, “Simply God’s Best” actually walked away from the challenge saying he was done. While the New England Champion has a prior commitment August 8th, West has re-thought his original position after re-watching the footage from Red, White, & Bruised and is prepared to make a statement at the Big City Rumble. 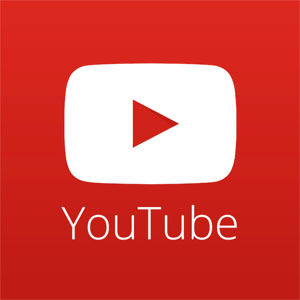 ⇒ On sale August 8th will be a special two disc DVD of NCW Red, White, & Bruised featuring two potential match of the year candidates in the GA/Giant and McCarthy/RIOT title matches. You don’t want to miss out on these two amazing matches! 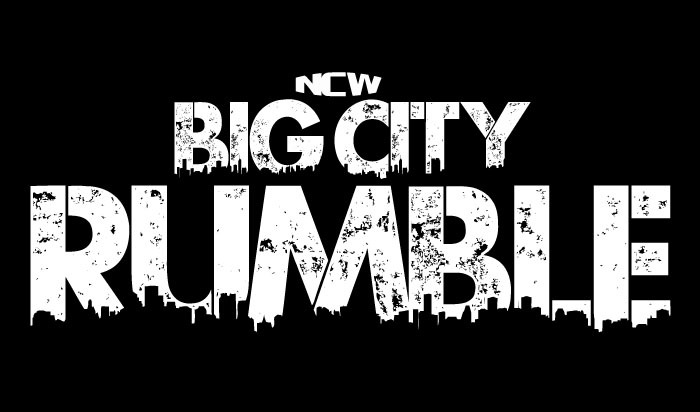 ⇒ Finally check out our 2014 Big City Rumble hype video featuring Lorde’s “Glory & Gore” and we’ll see you all on Friday night August 8th at the 2014 Big City Rumble!